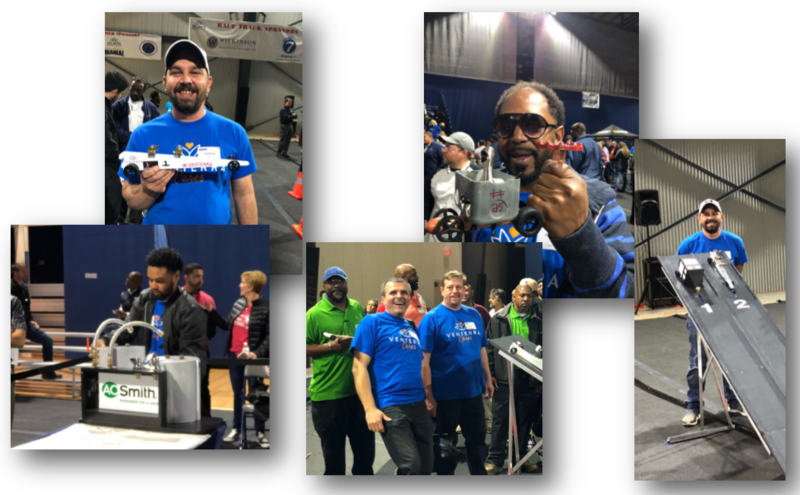 Our Atlanta region maintenance teams have joined in on the Maintenance Mania fun! They had a blast partipating in the Atlanta Maintenance Mania events held by the Atlanta Apartment Association where, with the help of the support of our office staff in attendence, they let their maintenance and car building skills shine alongside other maintenance professionals in the industry. Maintenance Mania® is a national program offered by NAA and presenting sponsor HD Supply, in which maintenance technicians compete against each other in various skill-based table games based on common maintenance activities and a race car competition game. Each NAA local affiliate has the opportunity to have their maintenance technicians compete individually to win various local awards and a chance to compete at the National Championship held at the annual NAA Education Conference & Exposition. Whether you have in mind a maintenance maniac or a leasing rock star, we’re always on the lookout for Venterra quality candidates for our teams. If you know someone who might be a great fit for us send them our way and you could be $250 richer in no time at all!